Luckily, the only sharks that I've ever seen have been in aquariums - and hopefully, it'll stay that way! Honestly, catching a glimpse of a barracuda while snorkeling was scary enough for me. But, whether you're totally fascinated by sharks or completely frightened at the mere thought of them, there's no escaping SHARK WEEK! 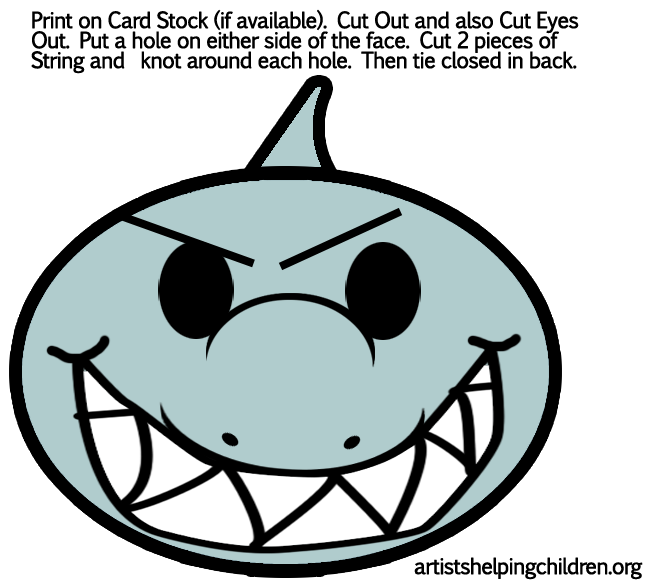 In honor of Shark Week, I put together a bunch of fun ideas for celebrating sharks with your kids. Enjoy! Do you have a shark lover in your house? Newer PostFun for Kids Friday - Crafts, Activities, Recipes and More! Older PostFun for Kids Friday - Kid's Crafts, Activites and More!